Free @ Better Homes & Garden. Click the link below to go to their website & browse the patterns. 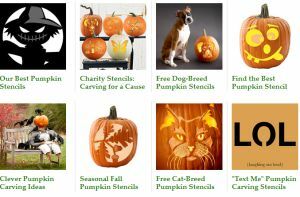 Find the pattern you want & then print it for your pumpkin carving fun.